Endless possibilities await you on a Mexico vacation, where you will find romantic seaside villages and exciting cosmopolitan nightlife, pristine waterfalls and world class luxury resorts. Let us help you find your perfect Mexico. 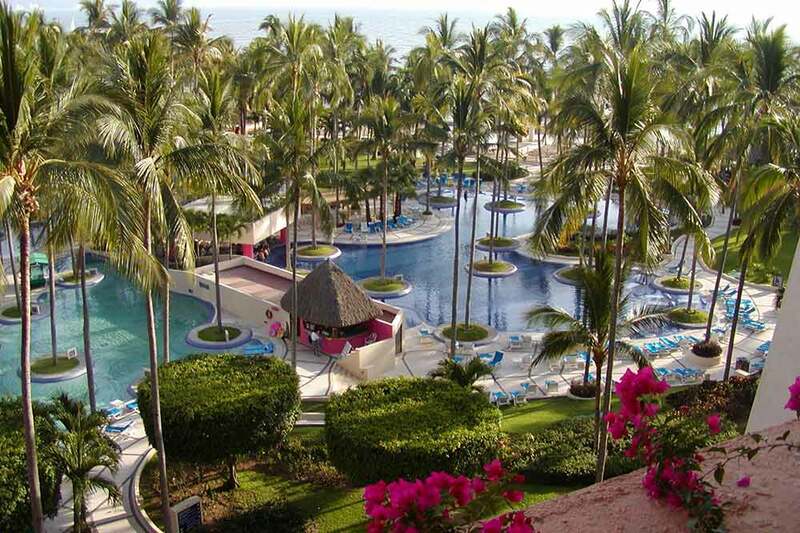 Here are some samples of what may be included in our Mexico vacation packages. 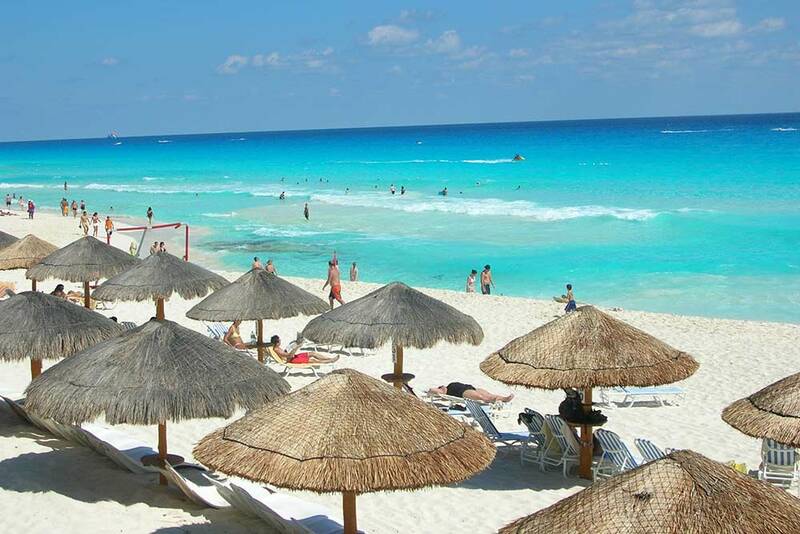 Situated on the south-east coast of Mexico, Cancun is home to the second largest barrier reef in the world. Look no further for perfect scuba diving, snorkeling, pumping nightlife, and sandy beaches. Underwater Museum Snorkeling Tour - The newest and most spectacular addition to Cancun, this undersea sculpture gallery includes more than 400 figures. Columbus Lobster Dinner Cruise - Spend a romantic evening under the moonlight cruising aboard the Columbus - a pirate's galleon ship. On board, guests enjoy a full lobster dinner and soothing jazz music. Xel-Ha Tour - As the largest natural aquarium in the world, Xel-Ha or, the “place where water is born” offers spectacular snorkeling and marine life encounters. Rhythms of the Night - Wander into the tropical jungle and be seated around a torch lit pyramid under the stars and prepare to be amazed by a magical and mystical show, unique to "Rhythms of the Night". Sea Lion Encounters - Make a new friend with your Mexico vacation package! Get to know these intelligent mammals where you can play, pet, and shake a flipper in a specially designed Sea Lion Encounter pool. San Sebastian - Experience one of Puerto Vallarta’s cultural centers, where time stands still and townsfolk still live the same way they did over 100 years ago. 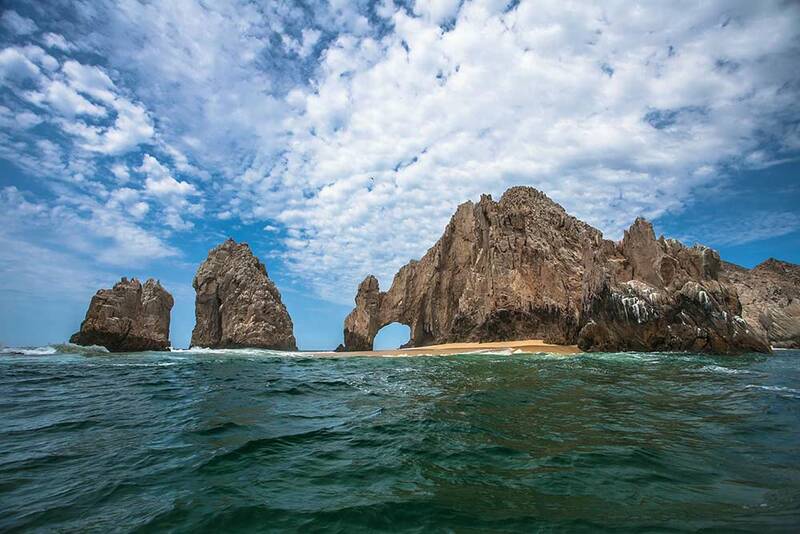 Once a small fishing village, Cabo San Lucas has become one of the top Mexico vacation destinations where you can swim with dolphins, relax on picturesque beaches, and see spectacular rock formations. Extreme Canyon Canopy Ride - Soar across canyons, zoom past rock faces and fly across many exhilarating double zip lines on this adrenaline packed tour. Whale Watching Excursion - Bring your camera for a fun-filled, educational boat ride where you can get an up-close look at some of the largest creatures on earth. Sunset Cruise in San Lucas Bay - Board a 60-foot triple decker catamaran for an unforgettable two hour cruise around the San Lucas Bay.